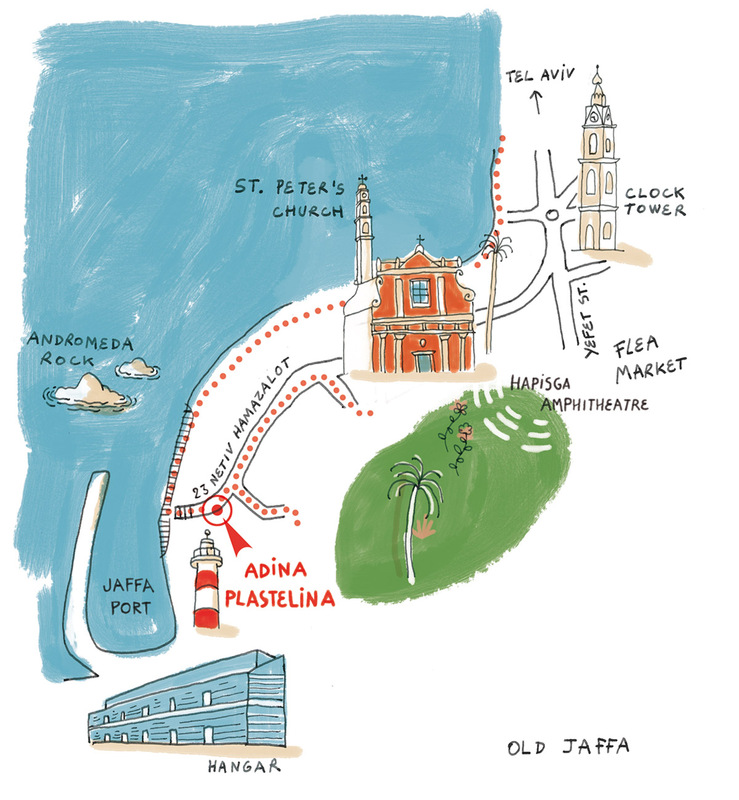 The Adina Plastelina gallery is nestled in the heart of Old Jaffa’s enchanting cultural hub. Jaffa is one of the world’s oldest port cities, is over 3500 years old and is mentioned several times in the Bible. The gallery is located in the enchanting Zodiac Path, an architectural gem dating back to the Middle Ages. The findings uncovered in the limestone walls and arches (e.g. Well, chimneys and clay pipes) hint of the space’s previous use as a Hamam (Turkish bath). ne structure were revealed at the sand mound level. During a complex engineering effort, headed by Mr.Hassan El-Obidi, a round hollow with 280 cm, in diameter was uncovered. What was this building used for? Was it for religious or use? Was it part of someone’s home or used for water storage? Who built it and during what period? Were they the ancient Egyptians, Phoenicians, Romans or Crusaders? The many and varied artifacts we discovered under the floor of the gallery, as well as within the remnants of this unique structure, serve as testimony to the lives and activities of local residents—who have influenced the history of Jaffa for 3,500 years, spanning from the late-Bronze Age until today. The Mysterious Room is an archeological site and private museum that showcases the assortment of artifacts we have found there, including seventeen coins from the Roman and Byzantine periods, arrowheads, a signed amphora handle from the Hellenistic period, a ballista ball, a Maltese cross, a collection of animal teeth, twenty Ottoman smoking pipes, and more. 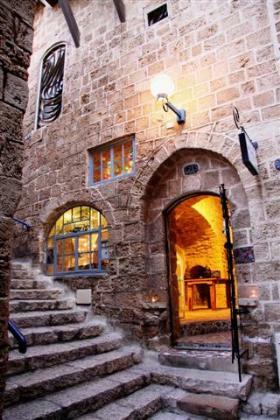 The museum is an integral part of the Adina Plastelina gallery in Jaffa’s old city. We invite you to come and visit the museum and the gallery (free of charge).